The eighth annual Englefield 10k, Berkshire Sunday 27th August 2017. 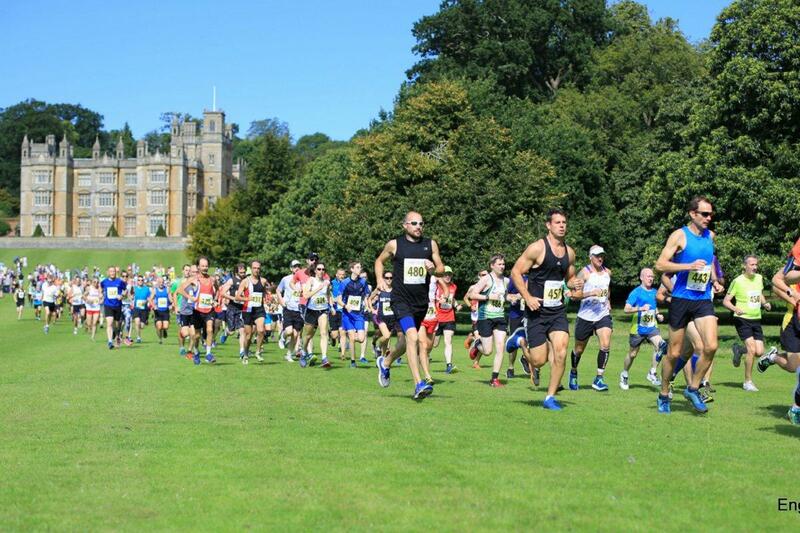 The multi-terrain 10k course, in the beautiful setting of Englefield Estate near Theale, is now a major event in the running calendar. Well over 300 registered to run last year. It is also offers a family day out with a 3.5k course for under-15s and a family "Treasure Hunt" walk round the park whilst the races are on so everyone can enjoy the beautiful surroundings. The private Berkshire estate is opened for the event by kind permission of the Benyon family. Organised by The Rotary Club of Reading Abbey and Tadley Runners, 100% of the money raised goes to charity. Refugees from the Reading Festival – and others – gathered in beautiful weather on the Englefield estate near Theale last Sunday for the annual Festival of "strenuous exercise and enjoyment" that is the Englefield multi-terrain 10k run, an established event in the running calendar. Now in its 8th year, it incorporates not only the 10 K run, but also a 3.5 K run for under 15s and a family treasure hunt. The Englefield Estate is near perfect for this kind of event. There are acres of lovely grounds with a deer park in the background, enough tracks for a 10k run - and more - , plus a grand mansion, making a stunning backdrop for photographs. The thanks of all the competitors and the organisers go to the Benyon Family for their agreement to the use of these fabulous grounds. The Rotary Club of Reading Abbey have been organising this event, with the invaluable help of The Tadley Runners, who do all the technical aspects such as marking and measuring the course and timing the runners. It couldn't happen without them. All the rest is done by Reading Abbey Rotary. While providing an excellent forum for the runners, the event has as its primary objective the raising of money for charity, and in particular local charities. This year, the charity to benefit from the income generated by the event is the "Churches in Reading Drop-in Centre", CIRDIC for short. Their mission is to reach out to the marginalised and disadvantaged in Reading and give them the basis to recover and find their place in society. In addition, a small part of all Rotary fund-raising goes to the Rotary International Foundation, Rotary's own charity which has played a large part in virtually eliminating Polio worldwide. Over its life the event has raised in excess of £25,000 for charity. This year alone it raised over £4,500. Over 330 people, young and old, registered for the main run this year. They came not just from the Reading area, but from as far afield as Stoke, Dagenham, Northants and Ely. One competitor on his way from holiday in Devon to home in Nottingham stopped off at Englefield to take part. The prestige of the run is growing and has been attracting more and more of the serious runners. So much so, that this year the course record was broken in four of the nine categories of entry. Medals were presented by the President of Reading Abbey Rotary, Mr Colin Maclean OBE.